Via Maris - Glow Wall / CU2. Vinyl 12. Bleep. 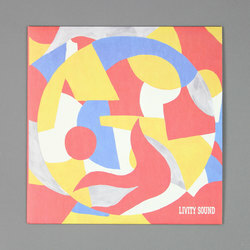 After dropping ‘Shelleys’ on Mistry, Via Maris returns with another new 12”, although this time he’s back amongst the Livity Sound fold. The imprint previously released ‘Swamp/ Tempura’ by Bristol-based Via Maris on its offshoot label, Dnuos Ytivil, in early 2017. In comparison to ‘Shelleys’, ‘Glow Wall’ and ‘CU2’ possess a library of sound more sanguine in their effect; the difference in artwork between the two releases accurately implying the differing content. The pulse of ‘Glow Wall’ propels the track forward into blissful and bright territory, keys whirl up and down as a consistent splutter operates at the heartbeat of the tune, keeping it relatively on track. ‘CU2’ has a similar intro and trajectory and it’s easy to understand why the producer made the decision to release the two tracks together.